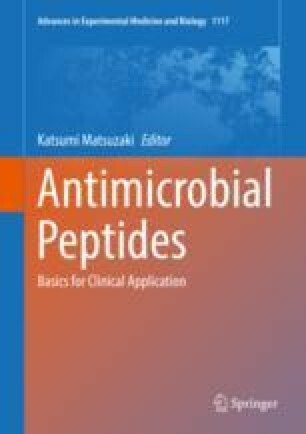 Antimicrobial peptides (AMPs) attack bacterial membranes selectively, killing microbes at concentrations that cause no toxicity to the host cells. This selectivity is not due to interaction with specific receptors but is determined by the different lipid compositions of the membranes of the two cell types and by the peculiar physicochemical properties of AMPs, particularly their cationic and amphipathic character. However, the available data, including recent studies of peptide-cell association, indicate that this picture is excessively simplistic, because selectivity is modulated by a complex interplay of several interconnected phenomena. For instance, conformational transitions and self-assembly equilibria modulate the effective peptide hydrophobicity, the electrostatic and hydrophobic contributions to the membrane-binding driving force are nonadditive, and kinetic processes can play an important role in selective bacterial killing in the presence of host cells. All these phenomena and their bearing on the final activity and toxicity of AMPs must be considered in the definition of design principles to optimize peptide selectivity. The authors gratefully thank Dr. F. Savini and Dr. A. Papi for their help with Figs. 11.3 and 11.5. Research in our lab is currently supported by the Italian Ministry for Education, University and Research (grant PRIN 20157WW5EH_007), and by the Italian Association for Cancer Research (AIRC grant IG 2016 19171).